The charming and ever-positive media technician says that, no matter what, he would always work with multimedia and video production. It is a skill that has been with him since high school, but he has been wooed by the endless possibilities of video production that the internet has opened up. He has experienced everything from euphoric events with network marketing to a live surgical operation, where along with the other participants he trembled for the life of the patient (fortunately the surgeon didn’t tremble…). He mixes his stressful work with building personal relationships with congress organisers and guests, and he has made many close friendships over the years. He thinks the future will bring more live transmissions and a different, more relaxed arrangement of meeting space with the maximum utilization of networking. Dejan recommends that the congress organiser meets him at least an hour before the event to double check that everything is working properly; the human factor is mostly blamed for technical problems, as the equipment rarely fails, so it’s good to eliminate this as fully as possible. You also have the chance to meet him in a parallel world where he creates interesting stories with his colleagues in the working collective “Drhal”. He has certainly been inspired whilst listening to conferences and events! A good barman can always recognise the mood of a guest and, when needed, empathise with it. He can read minds and knows how to prepare the “real thing” – the right drink for the right moment. He will take time for his guests, even if the event is delayed until late into the night. Barmen who can do this, such as Miran, are today on the verge of extinction. For Miran, being a barman is a profession, a hobby and a mission. He is constantly learning, teaching at Hospitality school and testing new recipes at home that will delight his guests at Hotel Golf. He travels around the world to extend his knowledge and as a member of the Executive Committee is active in the Association of Barmen of Slovenia. Being a barman is a pleasant, responsible and difficult profession, but is always repaid through the gratitude of satisfied guests; guests appreciate his energy and say that his good will picks up their day. The biggest award a barman can receive is when a congress guest returns to Bled as a tourist and becomes our congress ambassador. A huge number of congress organisers have returned to Bled, and it is in no little part thanks to the positive energy of top barman, Miran Berlogar. When he was only 10 years old he was already under the spell of top cuisine, as this is when he first started seriously experimenting with food in his home kitchen. From this point on, cooking as a mission and a profession was the logical choice. His path took him all the way to the famous restaurant of Gordon Ramsey in London. There, he realized how difficult the profession is, which strengthened in him the belief that he will shift the culinary boundaries of Slovenia. He is most proud of dishes that he creates with the team, and during our visit we were unable to resist the heavenly made ravioli. There are no boundaries for Simon’s culinary team when organising events; top quality organisation and a professional team is taken as read. 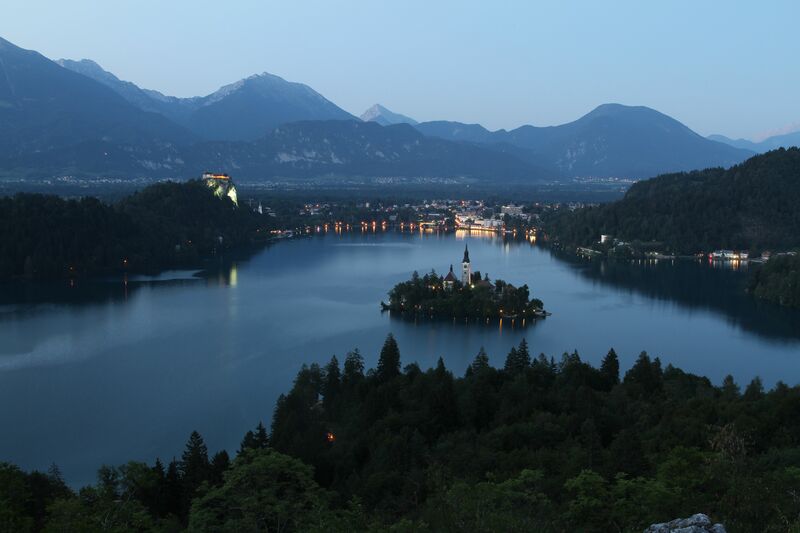 The location is also not an obstacle, since they have already carried out events at almost all of the most picturesque spots of Bled. Simon is also happy to share his culinary knowledge, exchanging and modifying his recipes depending on the style of cooking of those curious to learn from him. When developing your own style traveling helps a lot, and Simon is on a culinary journey at least once a year, a period where he gets to savour new flavours and polish and refine his cooking techniques. A typical trademark of Simon and the team is seasonal cuisine with local ingredients executed with top culinary techniques, the result “married” to one of the excellent Slovenian wines. The exceptional talent ranks him amongst the top three chefs currently coming from the hottest culinary destination of Slovenia.